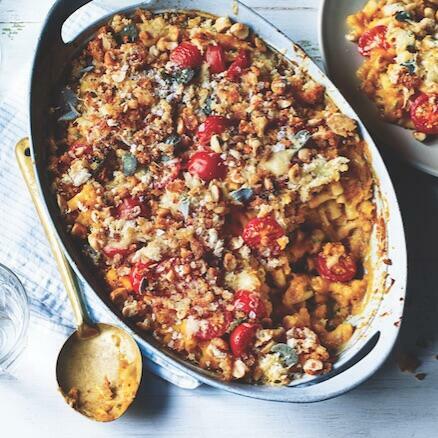 An ingenious tray bake with pureed roasted vegetables as the base for macaroni and not cheese. We gave ours a Moroccan flavour with spicy breadcrumbs: a superbly satisfying dish with butternut squash and sage. This is a Sainsbury’s recipe in association with Sainsbury’s Magazine. For more information, go to www.sainsburysmagazine.co.uk, and you will find these recipes in January 2017 edition of Sainsbury’s Magazine.